Season cream dory fillet with ground black pepper. Dust fish fillet with flour. 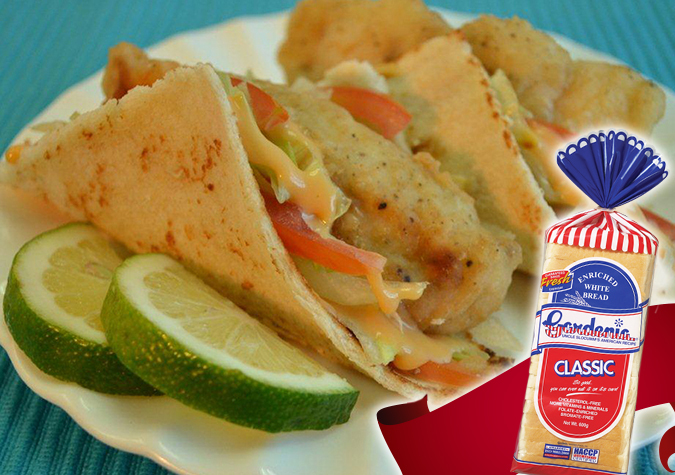 Fry fish fillet until golden brown in color. Set aside. For the soft tacos, flatten each slice of bread using a rolling pin. Warm the bread using a nonstick pan. Fold the bread and add in lettuce leaves and tomato slices. Top with fish fillet. Drizzle with Kraft Cheez Whiz. Serve.